Two iconic American warbirds rarely seen in the UK are set to steal the show at this summer’s Royal International Air Tattoo at RAF Fairford in the Cotswolds. 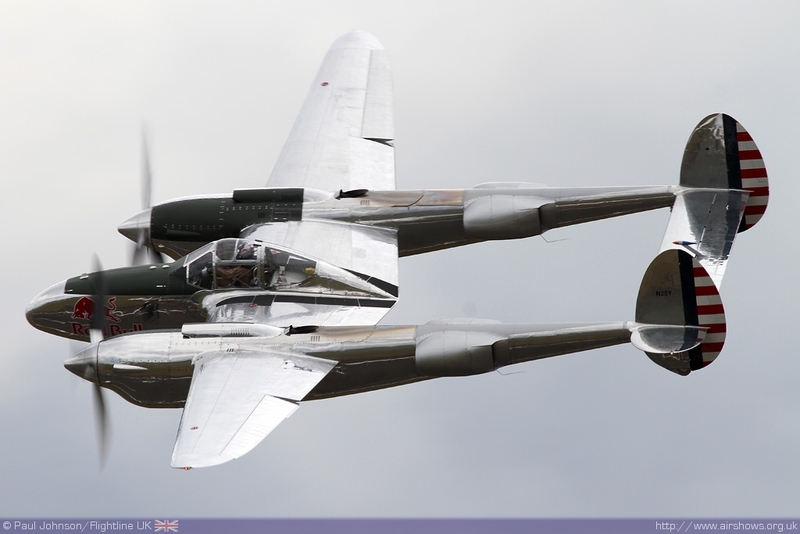 The stunning Lockheed P-38L Lightning and Vought F4U-4 Corsair, which form part of the Flying Bulls’ fighter collection based in Salzburg, Austria will take part in the Air Tattoo’s seven-hour flying display on July 20-21. The Lightning, which will be making its Air Tattoo debut piloted by Raimund Riedmann, has a distinctive twin boom design and a sleek, highly polished metal finish that guarantees it will shine at this summer’s airshow. The dark blue Corsair will stand out as one of only two airworthy examples in Europe. Both aircraft types have long since assured their place in aviation history. The Lightning first flew with the US Army Air Force in 1939 and it proved so effective as a twin-engine combat aircraft that the Luftwaffe nicknamed it ‘Der Gabelschwanz Tuefel’, or ‘the fork-tailed devil’. As the war went on, the Lightning not only performed a combat role but many were fitted with cameras and used as reconnaissance aircraft, providing valuable intelligence data throughout the conflict. 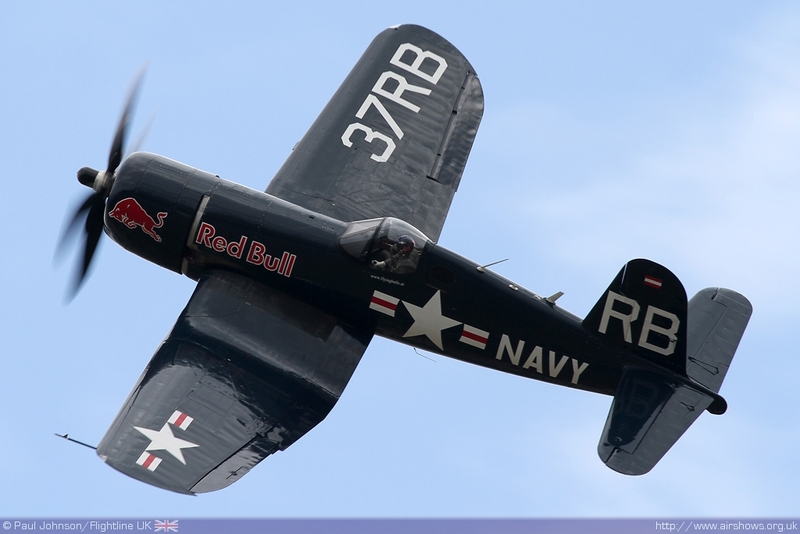 Nicknamed ‘Hose Nose’, the US Navy’s F4U-4 Corsair was considered the most capable carrier-based fighter-bomber of WW2. As well as being an outstanding fighter, the aircraft proved to be an excellent fighter-bomber, serving almost exclusively in the latter role throughout the Korean War and during the French colonial wars in Indochina and Algeria. Displaying the aircraft will be former French Air Force Mirage 2000 pilot Eric Goujon. Air Tattoo Chief Executive Tim Prince said these two aircraft were wonderful additions to the flying display which also features iconic British warbirds such as the Spitfire, Lancaster and Hurricane. Among other aircraft taking part in the Air Tattoo’s flying display are an RAF Typhoon, a Swedish Air Force Gripen, the Vulcan bomber, the barnstorming Breitling Wingwalkers and the RAF Red Arrows. The Royal International Air Tattoo takes place at RAF Fairford on July 20-21. For a full list of all the visitor opportunities and to purchase tickets, visit airtattoo.com or call 0800 107 1940. All under-16s go free. Free parking. NextAIRSHOW NEWS: Air Day's Fast Jet Flyers!